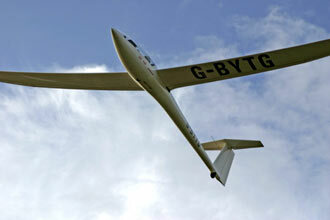 Reach for the sky with this introductory flying lesson and soar away into the wide blue yonder. Under expert tuition you will be able to take the controls and discover the freedom of flying, with the aircraft responding to your lightest touch. You won’t need to worry about take-off and landing, as this is carried out by the pilot. 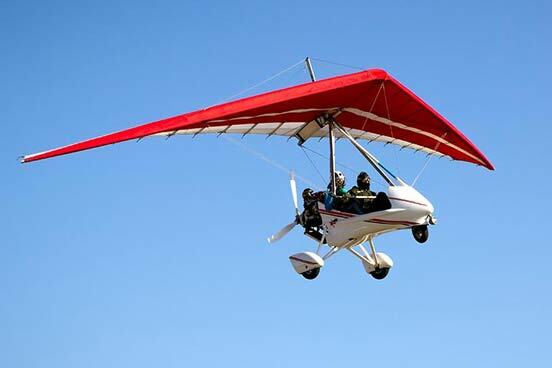 This is the perfect gift for those who crave an idyllic bird’s eye view, love to be airborne and like to put their co-ordination skills to the test. Your 30 minute flying lesson begins with a pre-flight safety briefing with your instructor, where you will learn the thrilling effects of an aircraft's controls and your role during this trial flying lesson. Then it's time for your 'walk round' to see the main control surfaces of the aircraft. 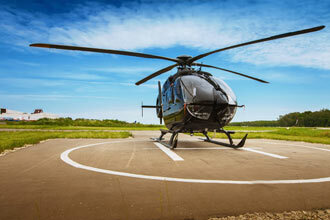 Your instructor will take-off and demonstrate some basic maneuvers, before passing the controls over to you. Your 30 minute lesson includes take-off and landing times. *Please note that if you are over the supplier's maximum weight limit you may be asked to pay an additional fee to cover the overall aircraft weight. Please check on booking. The availability will vary depending on your chosen location, typically throughout the year. The total experience lasts approximately 1 hour, with 30 minutes in the aircraft. Your tuition is on a one to one basis. You are welcome to bring along family and friends to watch you take to the sky. However this varies depending on the location. Minimum age varies depending on your chosen location, under 18's must be accompanied by an adult. This is not be suitable if you are pregnant, suffer from epilepsy, fits, severe head injuries, fainting, blackouts, high blood pressure or heart conditions. Max weight 82.55kg-108kg (13-17 stone), max height 1.85m (6'4") depending on the location. No previous flying experience is necessary. What an amazing experience! Actually taking control of an aeroplane! One of the best things I’ve ever done! Everything about the experience was great; the instructors were friendly and experienced and I was given much more control of the aircraft than I was expecting. I would recommend this experience for anyone who is interested in flying. Definitely recommend this experience. Staff were amazing. Very professional. Super experience. Thoroughly great experience, could easily get hooked on light aircraft. Bought this in part with a gift voucher. Fantastic experience! 30 minutes was plenty of time to enjoy a flying lesson. I had controls for most of the time. The instructor was very calm and clear. Even the windy day didn't interrupt the flight. Highly recommend. Very interesting pre-flight, the instructor explaining the pre-flight checks pretty well. Awesome taking off and landing on the main runway that the jets use. Good buzz taking control in mid air and flying around Mersey.